Sainsbury’s has cut the price of fuel by dropping 2p-per-litre off unleaded and 1p-per-litre off diesel. From Saturday 17 February, Sainsbury’s will cut pump prices for the second time in two weeks. However, despite widespread fuel price cuts, the average price paid for supermarket fuel has only reduced by an average of 1p-per-litre. This means petrol has fallen from 119.4p (8 February) to 118.4p (13 February) while diesel has gone down from 121.8p to 120.8p-per-litre. Unfortunately, the average price of fuel paid across all UK forecourts has hardly changed, reducing by around 0.5p a litre to 121.53p for unleaded and 124.21p for diesel. RAC fuel spokesman Simon Williams said: "This goes to show that several supermarkets operate regional pricing models rather than charging their customers the same price wherever they are, or indeed having price caps which guarantee customers pay a set amount or lower wherever they are in the country." The reductions follow the price of oil dropping even further, sitting at $61.46 as of Wednesday 14 February, its lowest price since mid-November last year. 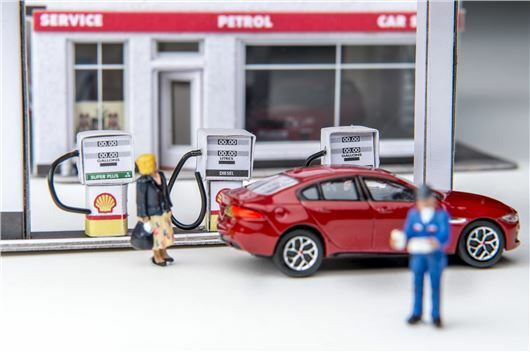 And, with the sterling/dollar exchange rate slightly stronger than it was last week, the wholesale price retailers pay to buy their fuel is considerably lower, which should pave the way for deeper forecourt price cuts. A 2p drop in price is hardly "slashing", more like a tentative trim. Two Tesco 12 miles apart by motorway. Usually 1p per litre difference. Strange?